OgilvyOne's "magic of flying" campaign for British Airways has scooped both Gold and Silver Lions in the Cyber category. The work – which won its gold in the digital billboard category and its Silver for innovative use of technology – is one of just two gold awards for UK agencies. Unit 9 London/Don’t Panic London’s short video to raise support for Syria war victims, created for Save the Children, picked up the second Gold Cyber Lion for the UK. Despite not winning a Gold Lion, R/GA London’s award tally outstripped the other UK agencies with a total of four gongs. Its "Beats music" work was recognised with three Silver Lions – for integrated multi-platform campaign, web service/app, and utility/tool/service. 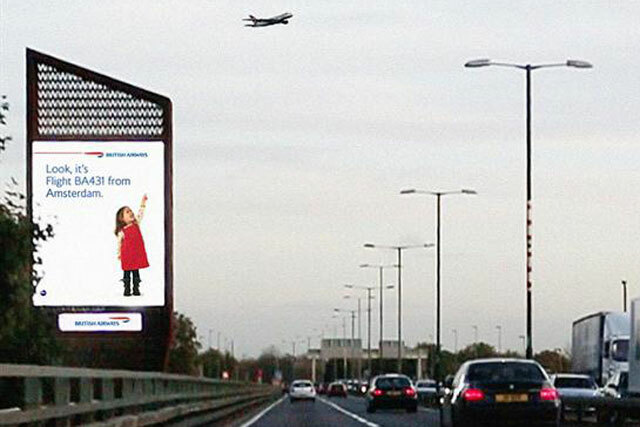 The agency also picked up a Bronze Lion alongside Google UK London for its Google Outside outdoor digital posters. Meanwhile, BBH London also scooped a Bronze Lion for its work "the art people" for Christie’s auction house. The eight UK awards represent a success rate of less than half in this category from a total of 20 nominations. The USA – which had 101 places on the shortlist – converted 60 of its nominations into awards, including a Grand Prix for Creative Artists Agency’s "the scarecrow" work for the Chipotle Mexican Grill.